So it’s a rainy day here in Chicago and I have been listening to podcasts all day about retro gaming including one about old Commodore 64 games, and I was suddenly transported back to being a kid. You see on rainy chilly days like this that happened to occur on weekends my Mother, Sister, and I would head to the mall. Usually these days coincided with days my Father was at the firehouse, so my Mom wouldn’t have to sneak her newly bought treasures in the house. Back in those days, and by that I mean the late 80’s to early 90’s, just about every mall had a computer store. Sure you could find NES, and Sega games there, but they made it about the computer. Do you remember that? It was all about the showroom, the carpeted floors, the few working display models on little desks with office chairs, it was like the cozy home office you always wanted. In the late 80’s I remember this one store that specialized in Amiga’s, and also those very early IBM’s and compatibles with Windows, but still very much DOS based. You walked in there, and maybe this was just because I was just a kid, but it always felt so posh ans you almost expected to see leather armchairs and and a fireplace. I remember just looking at those graphics which where mind blowing at the time, and looking at the games. 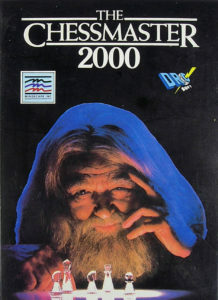 Yes, do you remember how new computer games use to come? Because that’s what I want to talk about in this post. 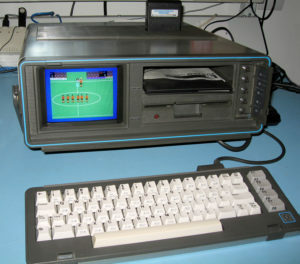 You see what helped those old computers seem so posh and sophisticated was the way games, or any software use to come. They all came in these cardboard boxes, that where thick and almost wood like, and entirely covered in glossy print, and pictures. You could put them spined in a bookshelf and they would still look great, and do you remember how they opened and looked inside? No, cutting a little strip of tape and opening a flap, no, no! The top pulled away from the bottom almost like a super fancy board game box, but with little u-shaped finger catches on the sides to get it open. Sometimes there was even a little bit of felt inside which further exuded class. I remember just staring on in wonder at those boxes, they even made word processing programs seem awesome. I could only imagine settling down on a cold rainey night with one of those games and loosing myself in the adventures they promised. 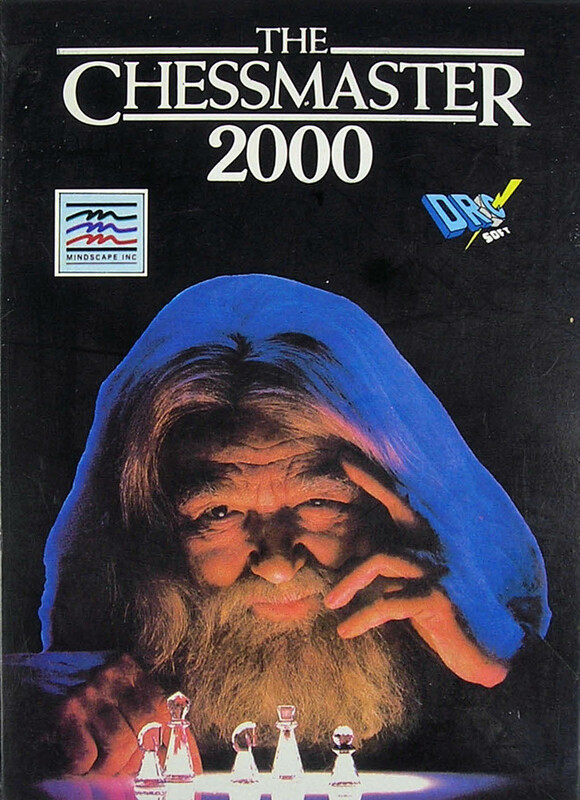 They even made Chessmaster seem adventurous with that Dumbledore looking dude on the front. But at that time in the late 80’s I was saddled with a Commodore SX-64, which was a so called “portable computer”, and it’s 5 inch screen. 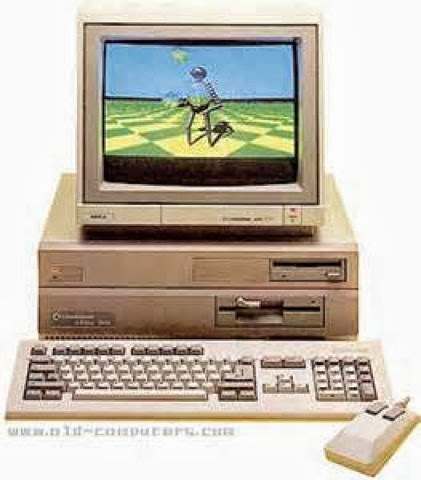 I did love it, though but I always wanted an Amiga. When I got my first IBM compatible, a Packard-Bell, in the mid-90’s games still came in those awesome boxes. 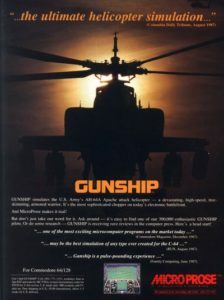 I remember F-117 by Microprose, Strike Commander, and Subwar 2050, as just afew of them. But it was the start of the era of the chintzy flap boxes, many other great games like Command & Conquer to name one, where to come but the era of the heavy boxes was over. Do you remember that ear? The boxes, the artwork, the manuals, the “feelies”? If so please share, by commenting below or on my Facebook page.